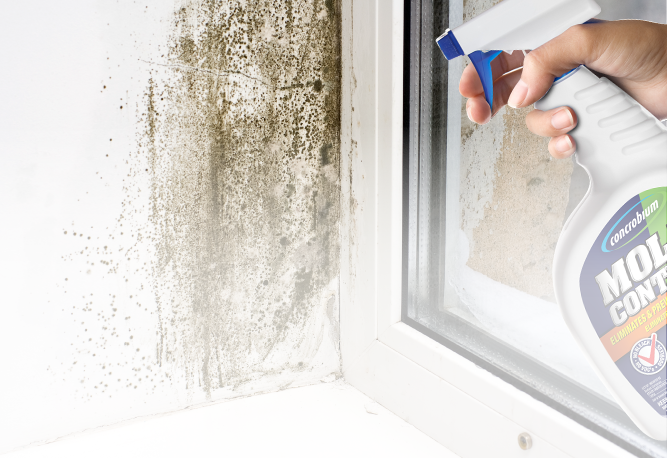 Concrobium Mold Control is a patented formula that crushes mold below the surface and leaves an invisible antimicrobial shield to prevent it from returning all without the use of harmful chemicals. 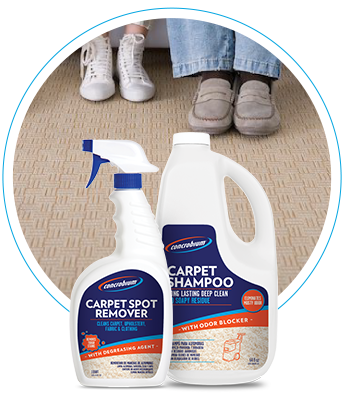 Concrobium products are engineered to tackle the toughest mold, moisture and cleaning jobs, while designed as safe to use around all the things you care about. Concrobium products harness powerful, innovative proprietary formulas that work hard so you don’t have to. 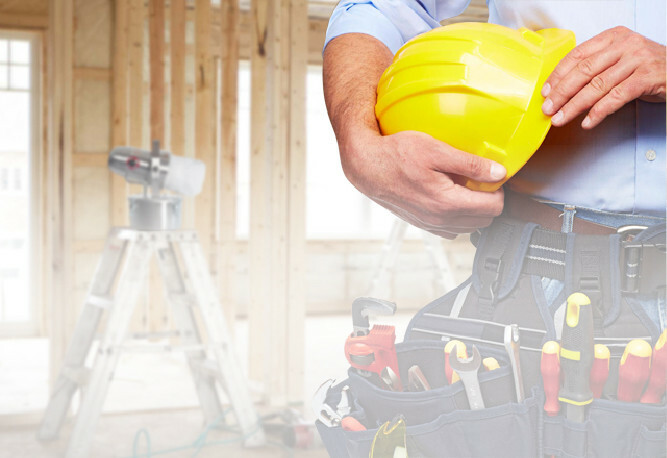 Concrobium proudly stands by every product and if you’re unsatisfied with the performance of your purchase we will offer you a full refund. 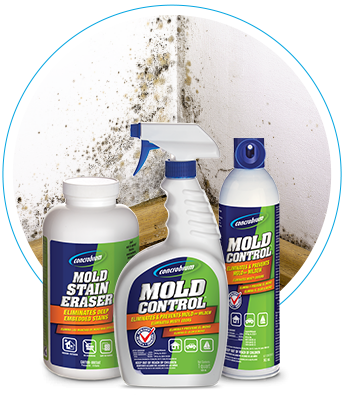 Concrobium Mold Control Fogger protects your valuables and large spaces by using innovative technology to remove and prevent excess mold. 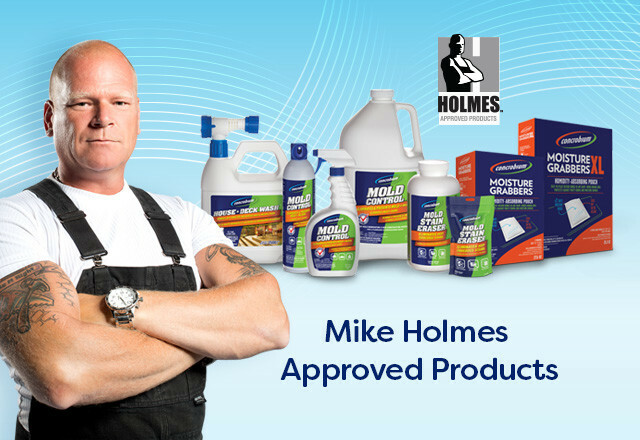 Solutions engineered to eliminate and prevent mold and remove mold stains on any surface. 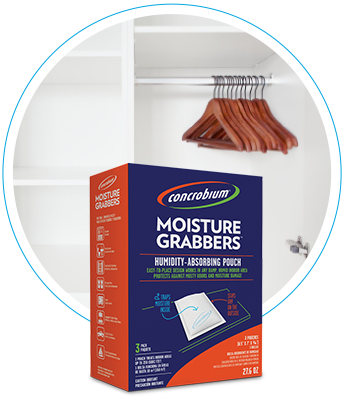 Stop mold and corrosion in high humidity areas before they start with Concrobium Moisture Grabbers. Innovative cleaning and sanitizing solutions for high-traffic surfaces. 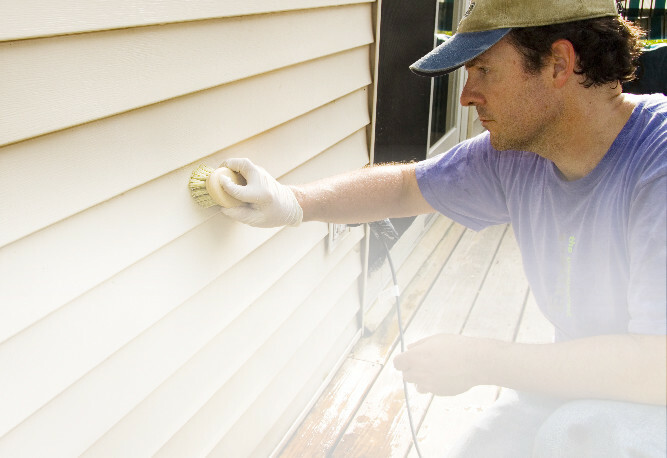 Visit our flooding microsite to learn the best way to handle water damage and prevent mold from taking hold.